Looks kind of gooey in the tube and on the brush but... it's not when apply on the lips! What makes me so fond of this gloss is because it's totally not sticky at all! It's easy to apply on lips and it does not dry up the lips!♥ The color is between sheer to opaque shimmery baby pink and it can be build-able. - 8 HRS hydrate; moisturizing, totally not drying at all! 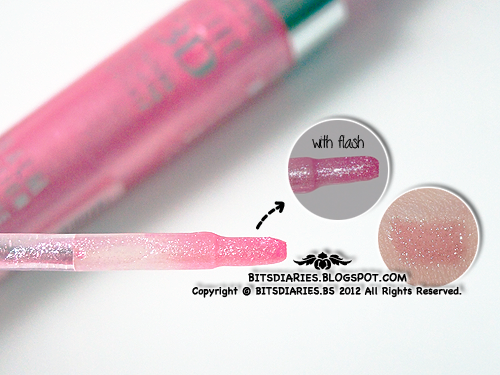 This is the only brand of lip gloss which I like and use it quite often. I have tried other brands of lip gloss before but well, this is the only one that I find it not sticky and unlike some other lip glosses, this does not have a strong sweet or fruity fragrance. 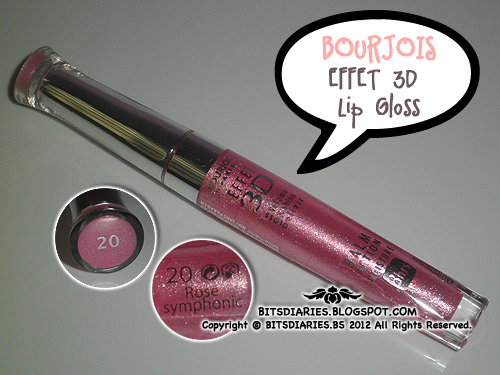 Honestly, I'm a person who don't like flavored lip gloss/lip balm but I'm fine with the scent of Bourjois lip gloss. At least, it's not overpowering.